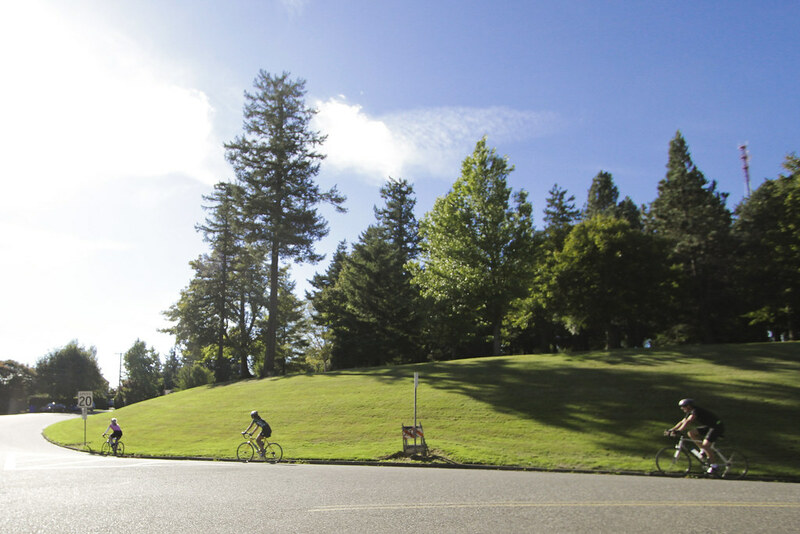 Healy Heights is a luxury neighborhood with the best views in the region, nestled in the West Hills of Portland. The Healy Heights real estate market features some of the most stunning homes in the area, surrounded by mature trees and shady, sloping roads, and it is now more accessible than ever. Healy Heights is a private getaway from the chaos of city life, though its proximity to downtown Portland makes commutes easy and provides entertainment and fine dining just minutes away. Take a stroll or a peaceful afternoon drive up to the top of the West Hills and gaze out at the stunning view - on a clear day, residents of Healy Heights can see Mt. Hood, Mt. St. Helens, and Mt. Adams, as well as a picture-perfect birds-eye view of the city of Portland and the Willamette River. Healy Heights is an officially-designated neighborhood of Southwest Portland, with its own Neighborhood association, although it has the distinction of being the only neighborhood completely surrounded by another neighborhood. Portland's Southwest Hills neighborhood surrounds the Healy Heights district on all sides, but the small community maintains its own identity, with much-loved traditions like the annual potluck dinner, held in Healy Heights Park each September. 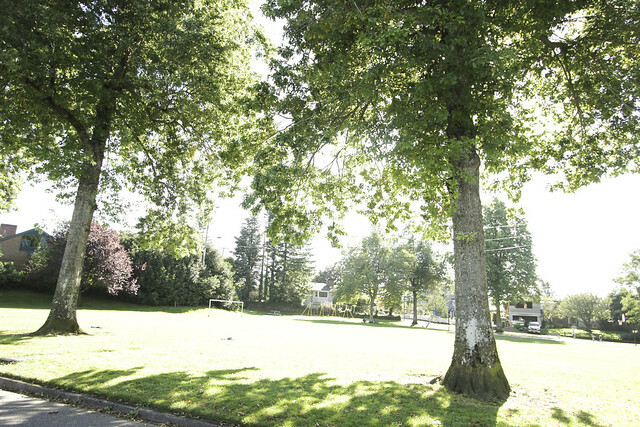 Healy Heights affords the luxury and peaceful retreat of suburbs like Lake Oswego and West Linn without the distance from all the arts, culture, and recreation the City of Portland has to offer. See more photos of the Healy Heights neighborhood at the McDonald Group Realtor Flickr Page. 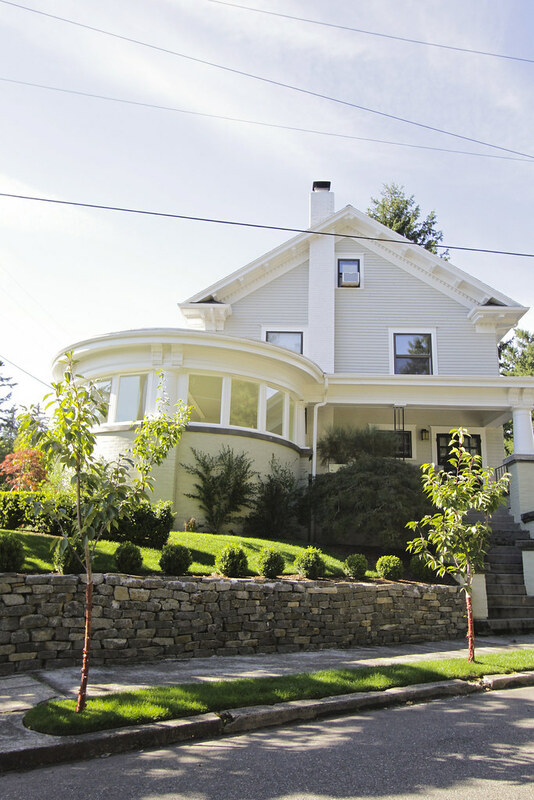 In 1911 Joseph M. Healy, one of Portland's most successful early Real Estate barons, platted the high class residential tract known as Healy Heights, situated on the west side just south of Council Crest. The original tracts were developed into custom homesteads with stunning architectural features, open floor-plans, and walls of windows to maximize the stunning views. The area has since become a destination for local joggers looking to experience some of the most beautiful views, challenging hills, and shaded streets. Healy Heights is located within in the Southwest Hills of Portland, just North of Hillsdale in Southwest Portland. The Healy Heights neighborhood is bordered by Hayhurst, Bridlemile, Southwest Hills, Homestead and Hillsdale Neighborhoods. Healy Heights homes are a diverse mix of architectural styles, including Mediterranean homes with mission-style terraces and courtyards, cabin-inspired homes with towering windows and locally-sourced wood details, and stunning Victorian homes with many floors to maximize the view of Portland. Though homes are generally larger, you can also find smaller bungalows and cottages tucked between the trees. Most homes in Healy Heights have large lots with plenty of landscaping opportunities. If you're interested in homes for sale in Healy Heights, or are looking to sell your home in the neighborhood, contact the McDonald Group real estate experts. We've got access to some of the best real estate in Healy Heights and every Portland neighborhood. Healy Heights's local schools are Ainsworth Elementary School (2425 SW Vista Ave.), West Sylvan Middle School (8111 SW West Slope Dr), and Lincoln High School (1600 SW Salmon St). Corbett Fish House: (5901 SW Corbett Ave) These guys have the BEST fish and chips in the city! It's got a chili-garlic oil underneath the breading, and its fried to a perfect crisp. Everything is gluten-free, perfect for people with and without dietary restrictions, and the atmosphere is amazingly welcoming. They are also committed to the idea of sustainable seafood, so they follow the guidelines of the Monterey Bay Aquarium Seafood Watch Program.